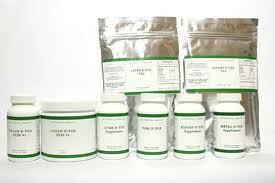 Detoxification means the elimination of toxic substances. Detoxifying the body a minimum of twice per year should be a regular practice for each and every person. What Are the Main Symptoms of Toxicity? The root cause of many diseases and illness have been linked to a build up of these toxins within the body. The body becomes overburdened and unable to handle the surplus of toxic material and thus they are not eliminated but stored in the organs, tissues, lymph and cells. A wide range of symptoms can be related to toxicity: headaches, fatigues, pains, coughs, gastrointestinal problems, low immunity and many more. Many people simply attribute this to growing old or just a “part of life” but this is simply not true! Detoxification allows for optimal functioning, increased energy and vitality. Toxins can relate also to any negative experience such as unhappy relationships, pent up emotions, an unfulfilling job and so on. Clearing any of these harmful experiences will also help to lift and detoxify. exposure to electric and magnetic fields and radiation, etc. It is important to asses how deeply an individual needs to cleanse or detoxify and for how long. What is their lifestyle? What is their diet? What are they exposed to on a daily basis? What are their health concerns? Are they on medications? Have they ever “detoxed” before? Many people think that a simple detox “kit” containing supplements pills and a fibre powder is all that is required to cleanse their body. Though these programs may have some benefit, without the proper foundation and support of the organs of elimination, they do not do the complete job as promised. Remember there is no “quick fix, no pain” solution when you consider how many years it has taken to get toxic! Other people believe that a very extreme diet (eg. protein shakes or cabbage soup or juice only) will cleanse them. In reality, this could allow for quick weight loss and regain + in the long run. Also, a restricted diet unmonitored can release toxins so quickly that one becomes very sick. The most thorough detox is done with health professionals such as a Naturopathic Doctor or Holistic Nutritionist who will do a complete individual evaluation. They will take a “whole-body” approach to determine the level and the length of time needed for your personal detox. Everyday lifestyle practices/techniques, a non-toxic/anti-inflammatory/hypoallergenic diet, a complete physical, weekly monitoring/support, supplementation and other recommendations that apply to each unique situation are part of a complete detox program. The purpose of detoxification is too rid the body of the old and prepare it for the new, whether ridding it of illness, pain, weight or addiction. The practice of these new healthier and more positive habits can open the door to newfound health and permanent lifestyle changes. 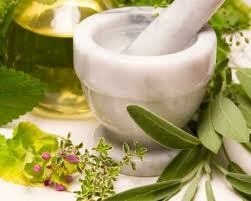 If you wish to have a detox program customed specific to you and your concerns, come visit us at KIH clinic. 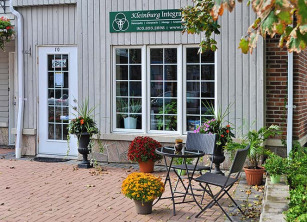 We are located in right in the heart of the Kleinburg village. Fill out the form above and we will get back to you promptly with up-to-date, accurate and useful information on the next best steps in the treatment of your concerns.